I find myself praying for wisdom in parenting a lot lately. Tyler, my oldest, is starting middle school in the Fall. Recently, if we are friends on FB, you have seen the whole "cell phone talk." He wants a cell phone. He has girls texting him on my cell phone, because it is the listed number at school. I have so NOT arrived and everyday I am trying to figure out how to best parent my boys for our family. I have so many thoughts on the subject of media and materialism and Jeremy and I have talked for hours about the subject especially when it comes to our boys. I don't have a girl yet, so I am sure it is just as many conversations about the same things, but they might look a little different. I won't go into my specific thoughts on all the different subjects that bombard my parenting decisions but here are some things I am thankful for and that have made the things we decide easier. First off, we try to make most major decisions before it ever comes up. For instance, we already decided that Tyler would not have a cell phone before high school. We also have set the age for group dating and then exclusive dating. Yes, our boys already know these ages. Secondly, we try to ask people who are a step ahead of us in the game or a few steps ahead that are raising or have raised their kids in the same way. I personally like having someone back me up and reassure me that I am not ruining my kids. It is probably just me, but I feel guilty and second guess my decisions sometimes. 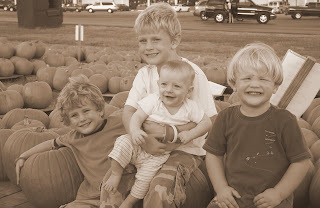 Lastly, we remain confident in the fact that God has given us these boys to raise and it is our responsibility to do the best we can even when it isn't popular, or when our kids seem to hate us, or if it seems silly to others, and the list goes on. I am excited for Tyler to be going into middle school. He is totally ready and I want to be just as ready!! The other day I was thinking about the preschool years. The years when I had a 5 year old, 3 year old, 1 year old, and super preggo with the fourth or the next year with a kindergartner, 4 year old, 2 year old, and a newborn. You get the picture. Those are HARD, I mean exhausting HARD years. For those of you in those years right now, I promise there is HOPE. It gets easier. You get through it. Maybe through it in a fog or a daze, or very little sleep, or an addiction to Starbucks, but you get through it. 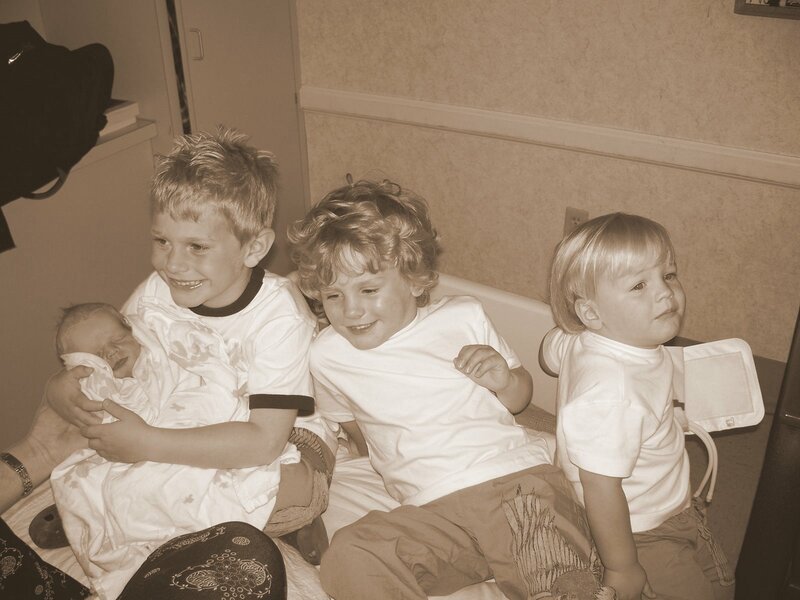 Now my boys are 11, 8, 6, and 4. Yes, Schella will be coming home within the year hopefully and I will have a preschooler again, but I don't think it will be quite the same. I have no wisdom to bestow upon you. I was honestly just laughing thinking about some of our times with little preschoolers at home. 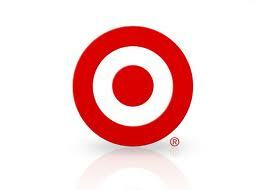 I call those years the "Target" years as in the bullseye store, Target! I can't tell you how many countless times we went to Target just to get out of the house between nap times or before Jeremy would come home. Here are just a few of many funny now, not at the time, things that happened. 1. Jeremy dressed the boys one day and forgot to put underwear on our potty training 2 year old Sam. I went to Target (surprise) and Sam had a little accident that fell out his shorts onto the aisle of Target. In all my motherly togetherness I started sweating profusely, grabbed a piece of cardboard off a Halloween costume, scooped the poop, left my baby, 2yo, 4yo, and 6yo in the aisle, ran to the Ziploc bag aisle, put the poop in the bag, ran back to my kids, paid for my Ziploc bags and left. 2. Again at Target...I was loading Sam in the van and put the keys in his car seat, shut the van door, and he locked himself in the car with the key fob. I had to wait 20 minutes for Jeremy to come and unlock the van. I thought for sure I would be arrested. 3. We were selling our house and right before a showing, Blake put a magnet in the microwave and my whole house smelled like burnt rubber. My sweet Blake, also while trying to sell the house, wrote on my white cabinets with sharpie and climbed on the counter and dropped the entire pot of coffee all over the kitchen floor. 4. Every Tuesday and Thursday I would either double stroller my baby and 2yo in to check in my 4yo to preschool and check him out. I am still not sure that preschool was worth it after doing that twice a day every T/Th. 5. Lots and lots and lots of wiping. I had a full time job in wiping...everything. I know you can relate. I do miss those times, but it makes me tired thinking about it.